The Sandringham or as the locals call it "The Sandy", is located directly across from the beach on the corner of Bay Street and Beach Road. You know what they say, Trust the locals and this hotel is one of their most loved venues. 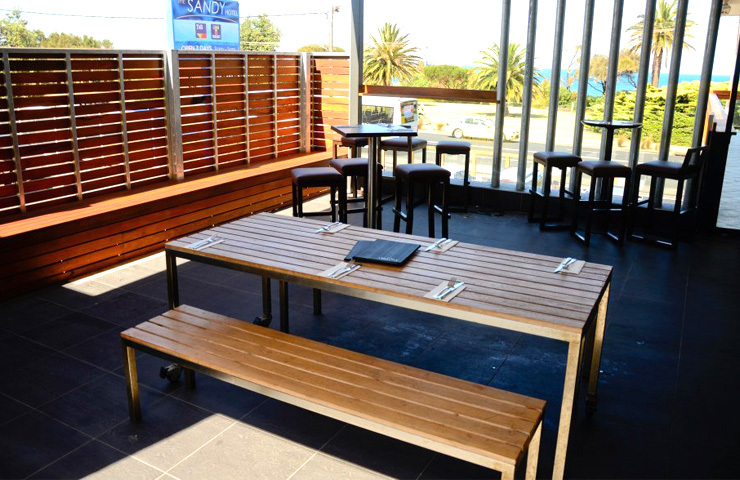 The Sandringham offers accommodation and their Sports bar is equipped with Full TAB, Trackside & Sportsbet Facilities. There is free wifi, function spaces available and even a drive through bottle shop. 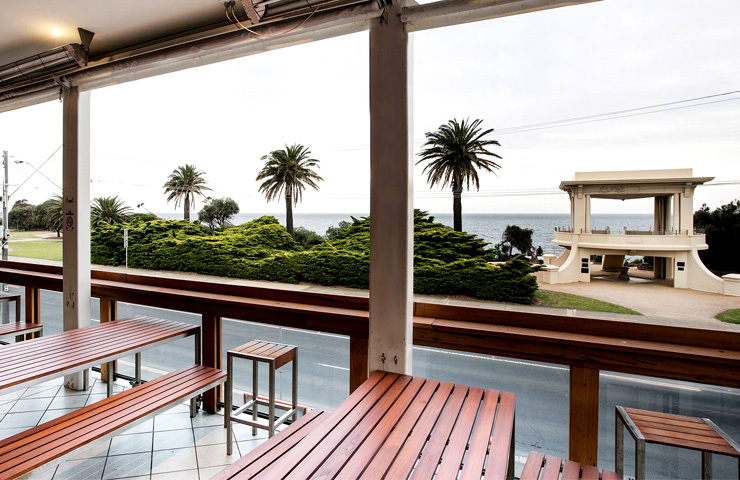 This hotel boasts breathtaking views of the Port Phillip Bay from the upstairs patio or If you're looking to dine, then head inside to the bistro for a range of hearty dishes to choose from. 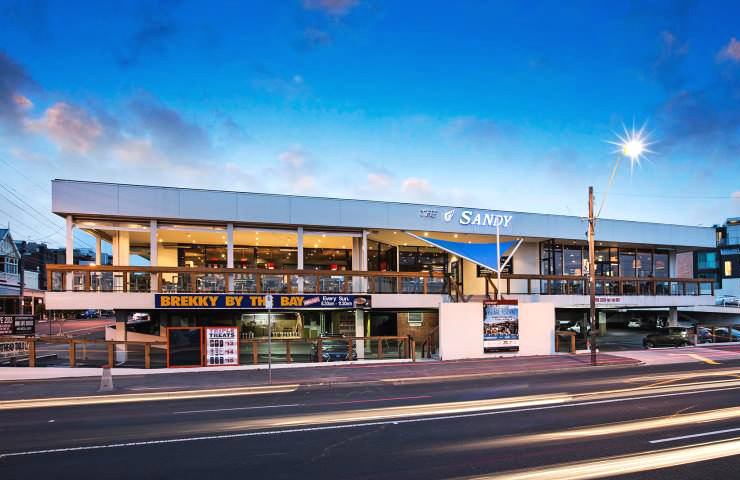 "The Sandy" is such a versatile space, whether its for drinks at the bar with friends or dinner with the family at the bistro, this venue offers a range of facilities that keeps it buzzing in all seasons of the year. Contact The Sandringham Hotel via the contact form provided or by the phone number, email & web address below the form.